I've been making Kool-Aid with a Stevia/sugar blend (1/2 cup this = 1 cup sugar, 1/2 the calories) for a couple weeks, but even at reduced calories, I'm still getting more calories than I would prefer to get in a drink (that I drink a lot of). I've even scaled the the sweetness back a bit because I think Kool-Aid is generally too sweet anyway, so I typically use 1/4 cup of the blend (180 calories). This isn't the only thing I am drinking, but I do tend to drink at least 1/2 pitcher a day, or around 100 calories worth per day on average. I try to always drink 60-80 oz of water a day at work, but I really get sick of plain water after a while. I did the Stevia-sweetened flavour packets you add to a bottle of water and I found that most were so strong tasting that I could use just 2 for a whole 2 quart bottle of water. After some trial and error, I found a combination that worked really well - 1 generic (Great Value brand?) lemonade and 1 Hansen brand strawberry lemonade. The trouble was the Hansen packets are often hard to find at the store. I needed something that was reliably easy to get, tasted good and did not have sugar or any artificial sugar. Basically, I needed something sweetened with Stevia. It occurred to me that Kool-Aid came in a large variety of flavours and because it was not already sweetened, I could sweeten it with anything. The scoop-able Stevia I had been buying made this rather expensive to make, so I set out to find other options. KAL Pure Stevia Extract, 3.5 oz for $20 - save $10 if you have never shopped at Vitacost.com before with my referral code. If you have never used pure Stevia before, the serving size is crazy-small! It comes with a tiny scoop that is about 1/32 tsp and sweetens at about 100 times sugar by volume (1 scoop = 1 tbsp sugar). So, for my regular 1/2 sweetness Kool-Aid, I use 8 level scoops of pure Stevia. 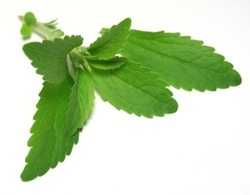 You can make it more or less sweet to taste, but be careful not to use too much, as many find Stevia to be bitter if you use too much (I don't, but YMMV). Because powder can be more difficult to blend, I always make mine in a 2-3 quart juice bottle bottle with a lid, so I can shake it. I find sugar to be difficult to blend evenly with cold water too, so I would use the bottle anyway. Vigorous shaking for 30 seconds to a minute is all that is needed. A $20 3.5 oz jar is about 2381 scoops. At 8 scoops per 2-quart Kool-Aid pitcher, you can make almost 300 zero-calorie pitchers. If you buy sugar at $2 for a 5lb bag, you'd spend $26.50 to make the same amount (at the same sweetness, $53 to make as directed) and if you drink it yourself, you will have consumed over one hundred thousand calories (over 200,000 as directed). Yikes!